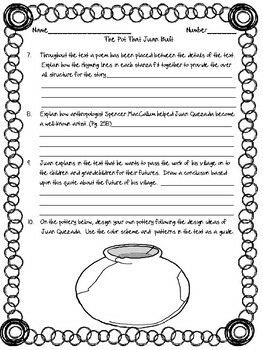 Open Court - McGraw Hill - U3W2 - The Pot That Juan Built Text Dependent ? 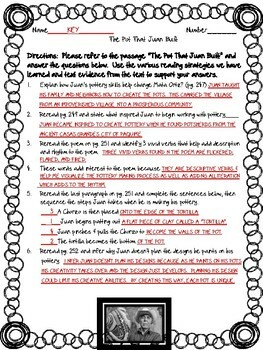 This is a set of text dependent questions that correlate with the Open Court story from Unit 3, Week 2 - "The Pot That Juan Built". I have created a set of questions that will require students to delve into the text to find the answers to each question. A variety of skills are assessed through the questions. Comprehension is assessed by explaining details from the text. 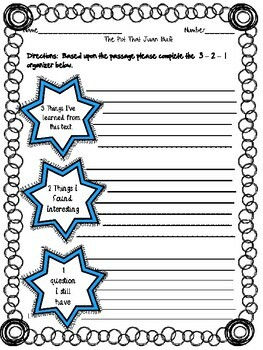 You will also be receiving a 3-2-1 organizer to use with the story. 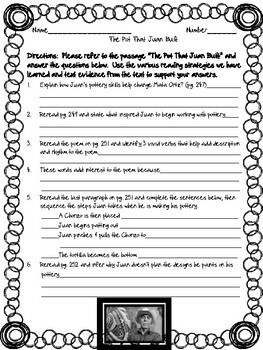 This will allow students to assess their own depth of knowledge about the text. I have other activities that correlate with this story. It is part of a larger activity bundle that includes many activities to complete your weekly lesson plans. Please check them out and remember to leave feedback to earn your TPT credits! Thank you for considering my products. I would like to thank CREATIVE CLIPS for the use of her graphics on this product.